Duane Alberts, owner of Alberts Bros. Dairy, in Pine Island, Minnesota, is living life Lely with a new Juno automatic feed pusher. 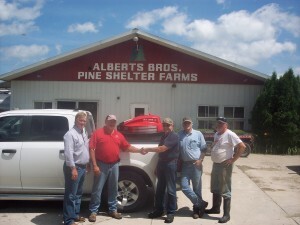 Alberts, the U.S. winner of the Lely "Did Juno" contest, received his new Juno from Dairyland Equipment. Ken Dykstra, of South Rustico Prince Edward Island (PEI), was the Canadian winner of the "Did Juno" contest. 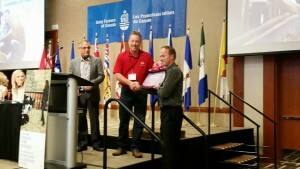 Dykstra was presented with a voucher for his free Juno from LBJ Farm Equipment during the Dairy Farmers of Canada Annual General Meeting in Charlottetown, PEI. Congratulations to Duane and Ken. Look for more contests coming from Lely in the future.